While I patiently wait to share some new projects I've been designing, I thought I'd have a Halloween project blitz today, sharing creations from my Halloween Past. (if you don't know it by now, I am a BIG Halloween fan.) I'll provide the links for each, since most of them have tutorials. The first is something I created last year. 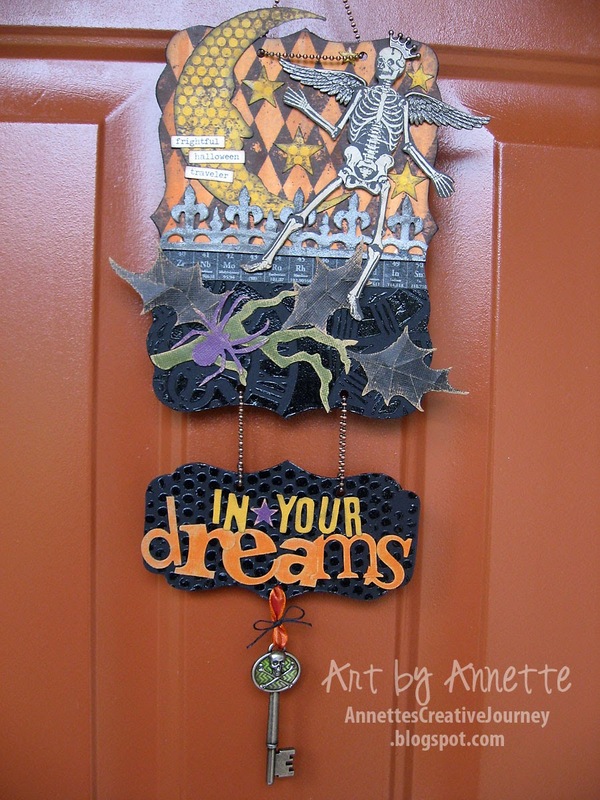 A fun wall-hanging for the season, made with lots of Tim Holtz goodies. You can view the tutorial here. I made this spooky house for my friend Patty last year. Although there's not a tutorial, per se, I've provided a description how I created it. See it here. 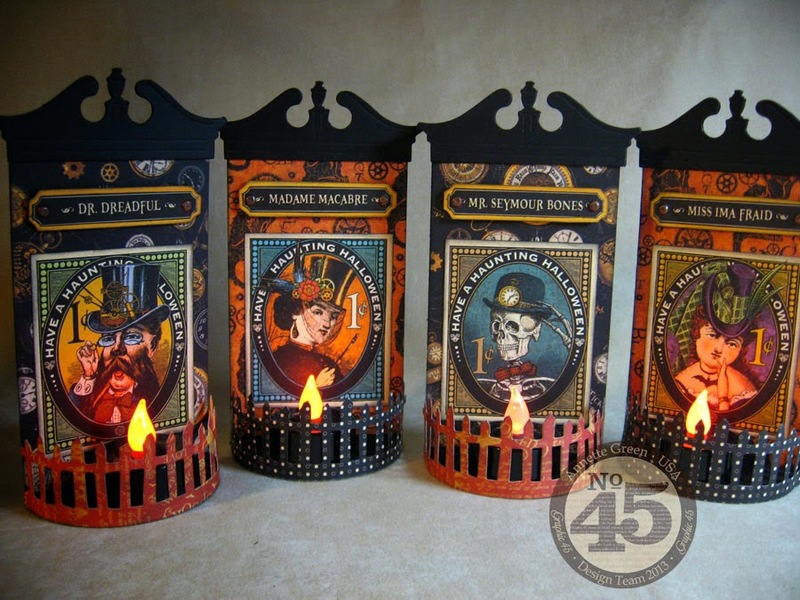 These fun tea-light/treat-holders were created with Graphic 45's Steampunk Spells, one of my all-time favorite Halloween collections. (I still use it!) If you go to this link, I share a tutorial and also some treat bags and a few Halloween cards too. This was a postcard I created which was featured on the Ranger blog last year using a bunch of their great products. Be sure to visit this link for a tutorial. 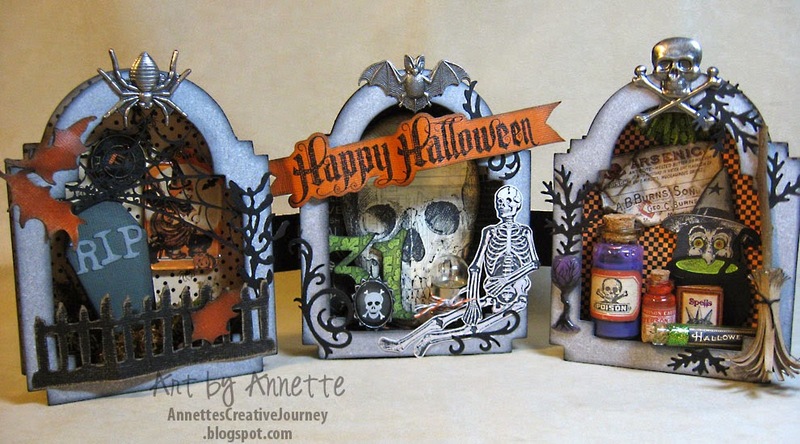 This tombstone trio is one of my favorites! It's sitting here on display in my foyer right now. I give you a step-by-step to make one yourself right here. And here's the original post with lots of close-up photos and details. These little black felt baskets were a Dollar Spot find at Target a few years ago. I used more felt and Tim Holtz Alterations dies to add the images to the fronts, and Dollar Tree's vintage candies and snacks to fill them. A quick and frugal craft project. More here. 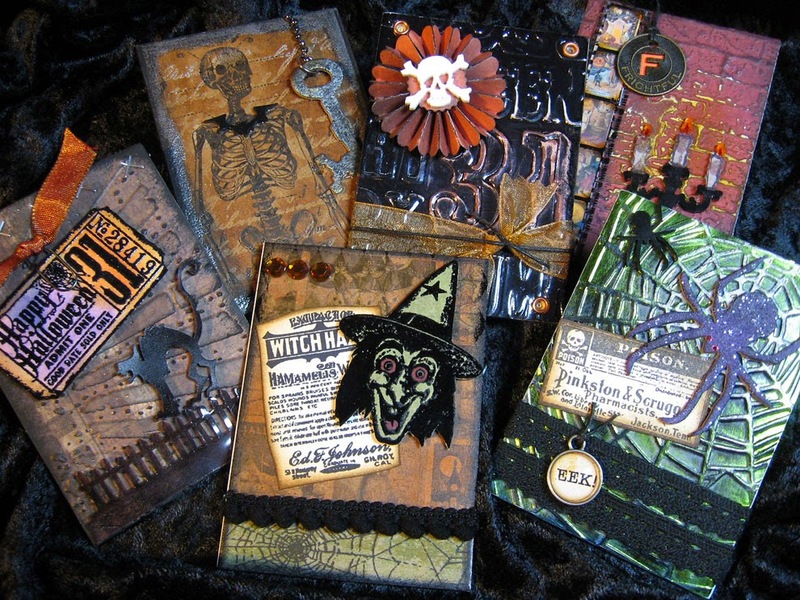 These are some Halloween ATCs I created and swapped on Tim Holtz's Caribbean Cruise back in 2011. No tutorial for these, sorry. But here's the original post. This is also on display in my home right now. 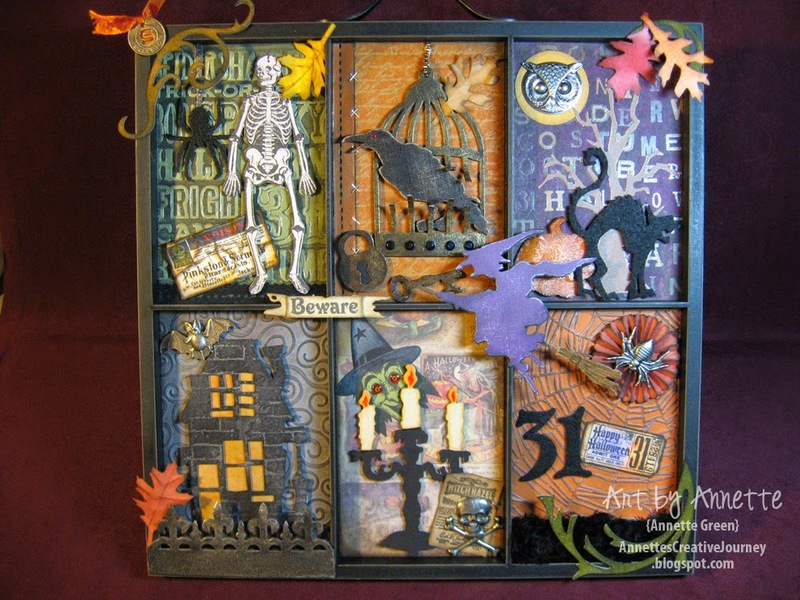 A Halloween printer's tray filled with tons of Tim Holtz goodness. Lots of close-ups and details here. 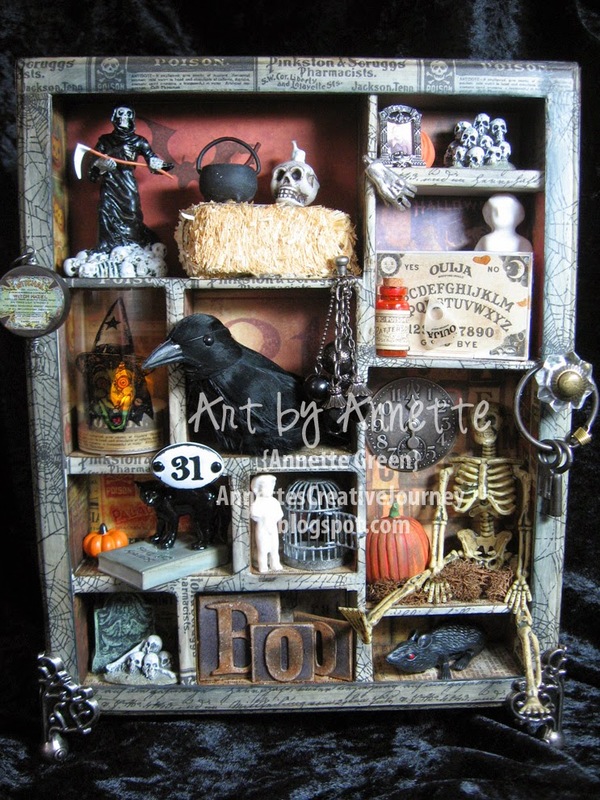 This Halloween configurations box is a blast from my past and makes it way out of the attic every Halloween to display for all to see. I think this might be my all-time favorite Halloween creation. Check out lots of close-ups and details here. 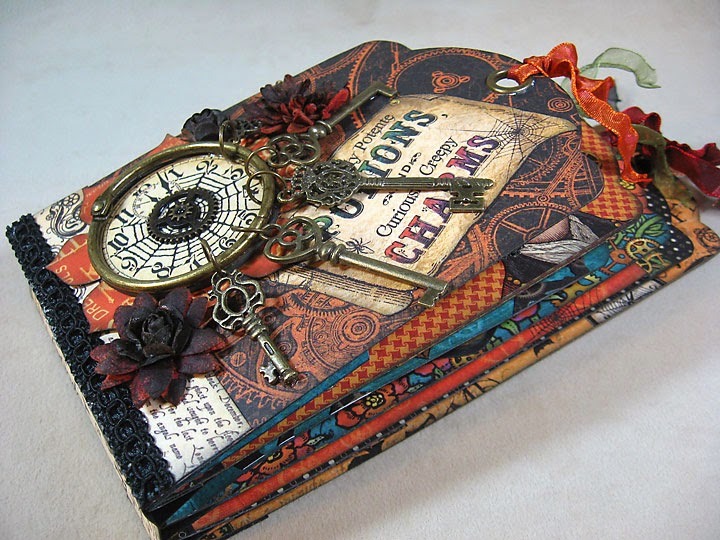 I'll end with this Steampunk Spells mini album I made last year. This one has probably gotten the most response of all my YouTube videos. There are two parts, one is a walk-through and the other is how to assemble the spine. 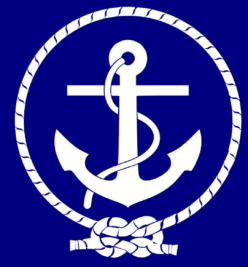 Check the link out here. That's it for me today. I hope you are inspired and try one of these projects yourself. If you've already done so, post a comment to let me know. I'd love to hear about it! Have a great day. 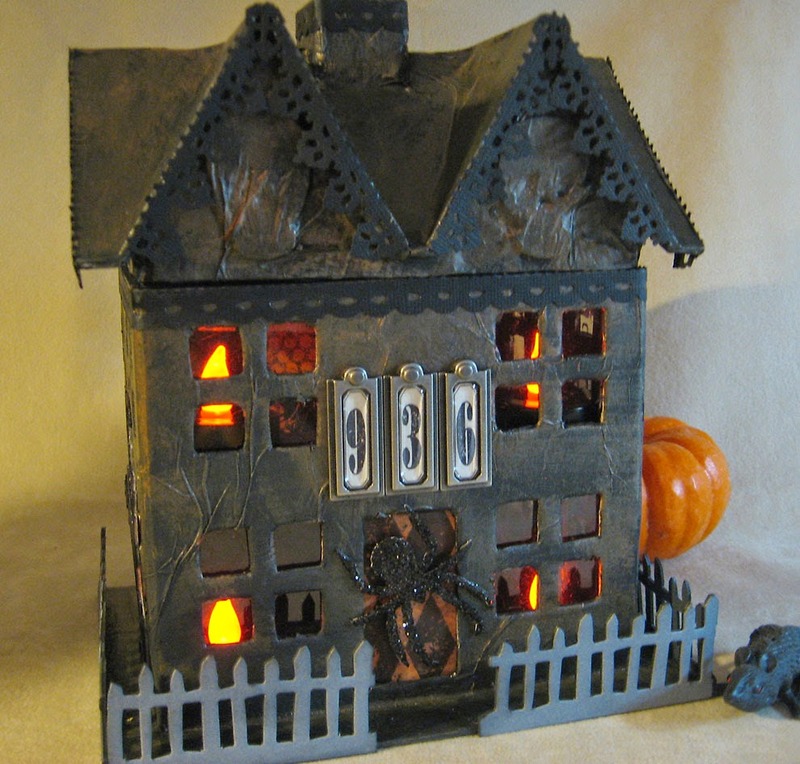 Great collection of Halloween projects. Thanks for the re-visit. WOW! 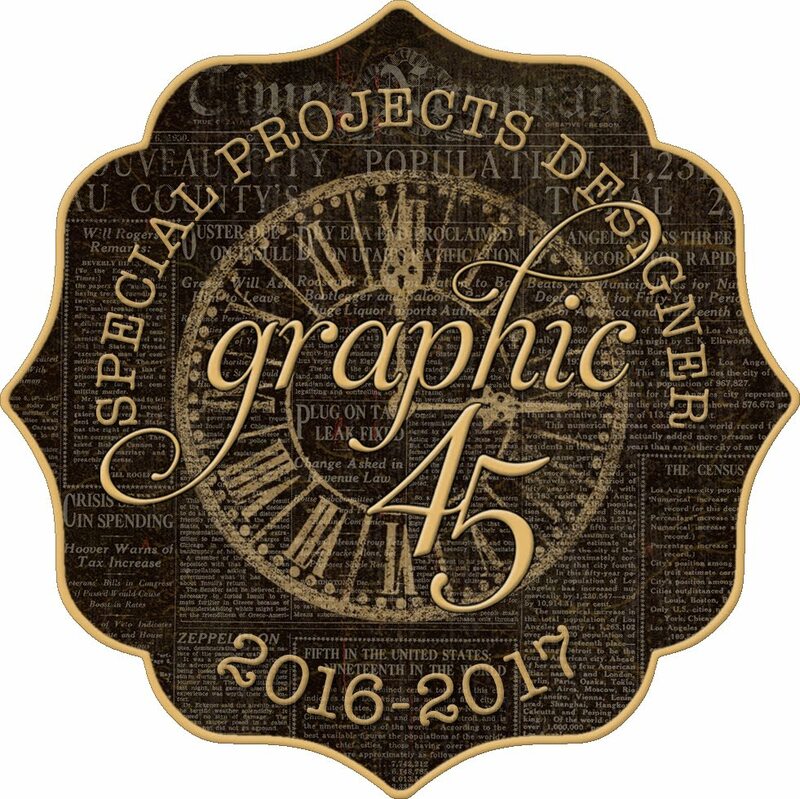 Those are some great projects you've created! Tee Hee...love all the Halloween projects. Wonderful and thanks for sharing! :) Boo!